Tired of getting the Netflix proxy error message? We found a VPN proxy service that still works. For all your Netflix needs, ExpressVPN is the most reliable service we've found. 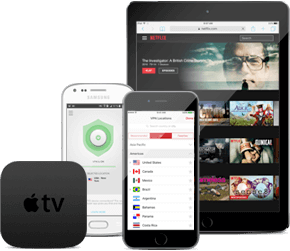 With thousands of servers in VPN locations in over 87 countries, ExpressVPN lets you watch movies and TV shows from different Netflix regions around the world with fast, high-quality streams—regardless of your location. Say adios to proxy error messages and geographical restrictions.